For sweet treat Friday... Well lets face it I've had my sweet treats more often than Friday's recently. But I guess you only live once! So when life presents you with gluten free cake, you must eat it! 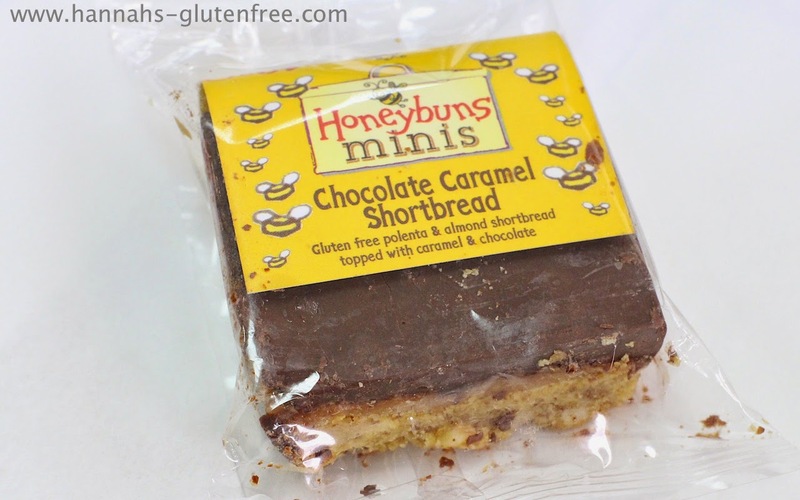 I had the Mini Chocolate Caramel Shortbread from Honeybuns, which is the same concept of a mainstream millionaires shortbread. You may have seen earlier in the week I won a box of goodies from them. I have to admit the more I try, the harder it is to choose my favourite! This slice is made up of layers, starting with a polenta base, which is very much like the mainstream equivalent. That slight crumble is present but with no dryness. 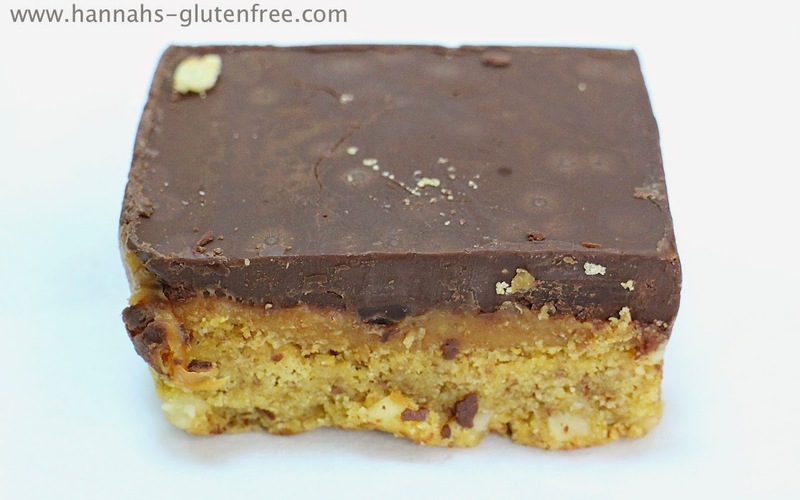 There is nothing worse than a true biscuit base as I find it too crunchy compared to the other textures. Next is a good thick layer of caramel, the only thing I can compare it to is the caramel my nan uses in her recipes. It was truly a blast back to my childhood! Thick and rich but not too overpowering or sickly. The last layer was two types of chocolate, beautifully rich and decadent. The chocolate has been mixed with rapeseed oil to give some softness then topped with a light chocolate dusting. I found this solidified the top slightly, so there was a two chocolate layer effect. With a slightly harder chocolate on top and a softer one underneath. Neither chocolate was ridged but the differing textures are interesting and really make these stand out from the crowd. Retailing at £1.05 for this mini I find is good value for the quality and taste. I am just glad I only had a mini otherwise being the chocoholic I am, I think I could have eaten half a tray bake in one sitting! These slices are suitable for home freezing and with free delivery when spending over £25 you can stock up in one order! You can order from Honeybuns here! Is having gluten free skincare necessary? Coeliac Awareness Week - Things I'm always Asked!